Unlike Christian art, which routinely displays elaborate visions of holy figures and grandiose scenes of biblical or spiritual nature, artworks from religions such as Islam and Judaism are far more trim in nature. Because traditional patronage in Europe was so heavily focused on Christianity for hundreds of years, most Europeans viewed idolatry as a universal and necessary aspect of all religious art. But as we now know – thanks to the broadened scope of European patronage that has developed through the twentieth century – different religions have radically different approaches to art. For example, since Islam formally discourages portrayals of sentient beings in art and strictly forbids images of God, Muhammad, and other Islamic prophets, artwork associated with the religion is typically devoid of human likeness. By relying primarily on mathematics and geometry, Islamic art formulates a creative vision of spirituality that is more abstract and non-representational. These creations are commonly viewed in Islamic religion as purifying pathways to the spiritual realm. 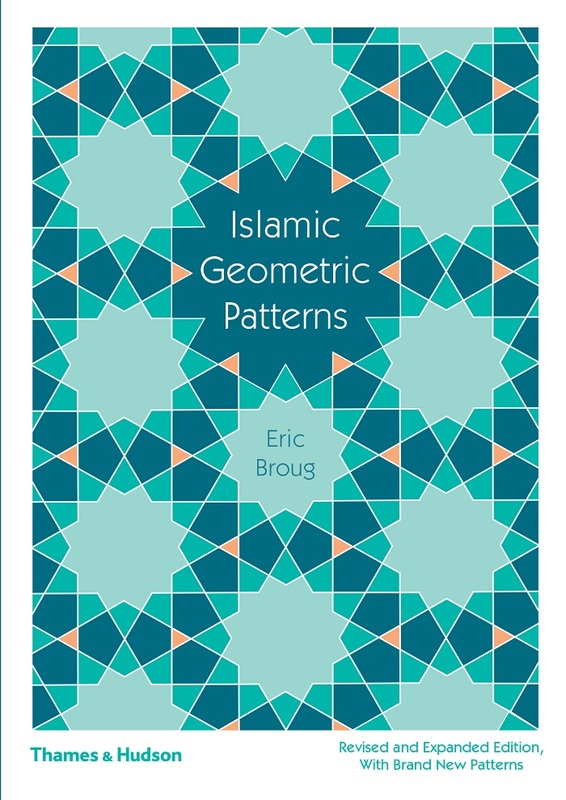 In the newly revised and expanded edition of his book Islamic Geometric Patterns, Yorkshire-based Eric Broug outlines the foundational conventions of this artistic practice. Traversing through the practice’s most basic principles to some of its more intricate components, the book offers a comprehensive yet highly accessible glimpse into how these geometric patterns are constructed. Broug – who holds a master’s degree in the history of Islamic art and architecture – emphasizes the importance of upholding the art form’s original methods of practice. Even though the patterns can be created and analyzed using modern mathematics, the only tools Broug uses are fundamentally the same which have been used for hundreds of years: a straightedge and a compass. Through his book, he aims for his readers to become apprentices of the art, while his guidance is intended to resemble that of a traditional craftsman demonstrating years of culminated skill and knowledge. Broug begins his teachings by showing how all Islamic patterns begin with a perfect circle, which becomes intersected with other circles of various sizes. Most patterns are formed through the repetition of one single geometrical motif. Numerous design and structural recommendations are covered in detail, using real artistic and architectural works including Pakistan’s Shah Jahan Mosque, The Alhambra in Spain, and Sicily’s Cappella Palatina as detailed points of reference. By using such a broad variety of patterns originating from different areas of the Islamic world, Broug seeks to highlight the disparities and similarities between these styles. 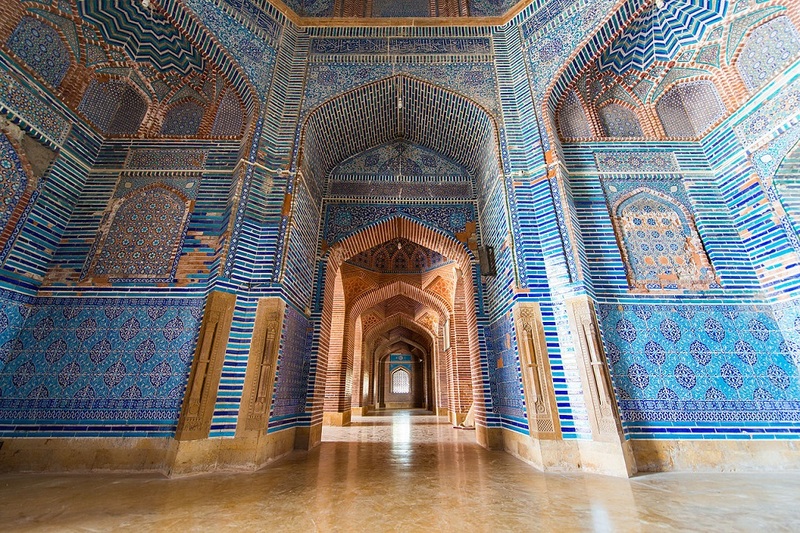 As Broug himself explains in the book’s introduction, “There is a great variety of geometric styles, and preferences for certain patterns varied depending on the period and region.” Through his instructions, he trims each of these patterns down to their essential elements, illuminating how the universal conventions of Islamic design have been used for extensively diverse purposes. 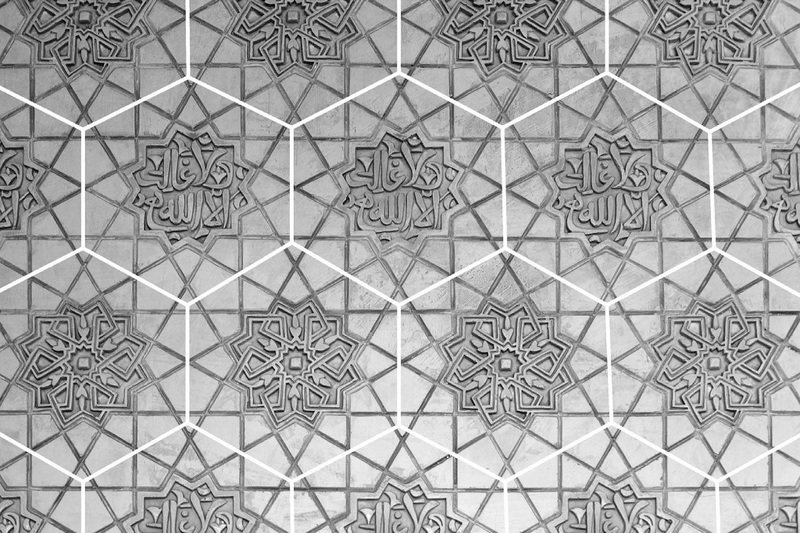 Islamic Geometric Patterns found in The Alhambra, Spain, 1302-91 A.D. (Image courtesy of Eric Broug) In his book, Broug outlines the historical background and structural components of this patricular pattern. In an interview with the Arabic calligraphy workshop Scripts ‘N’ Scribes, Broug explains how “geometry is a universal language, and Islamic geometric design resonates or speaks to people, regardless of age, background.” By sharing his knowledge and passion with the world, Broug strives to instill a deeper appreciation for Islamic art and celebrate its prolific and rich heritage.